Built in 1913, the space was designed by well-known Houston architect Joseph Finger and his partner, Lewis Green. It originally housed Model Laundry, the only steam laundry in Galveston at the time. It was among the most modern buildings of the time and featured design elements from the Art Deco movement. 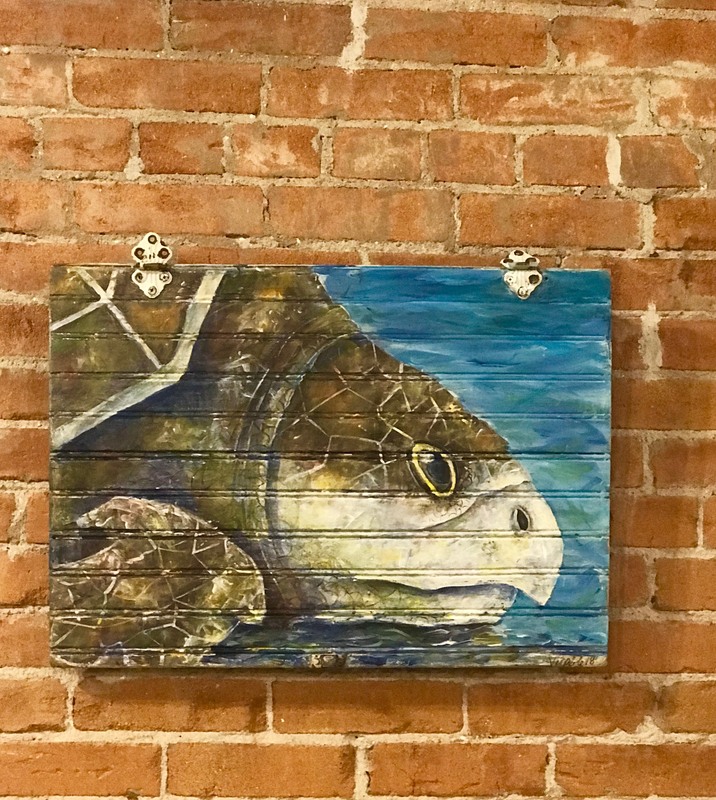 Our first piece of artwork has been hung on our gorgeous, exposed-brick walls! We scored this gem by local artist Ron Venable at a Galveston Island Nature Tourism Council silent auction. 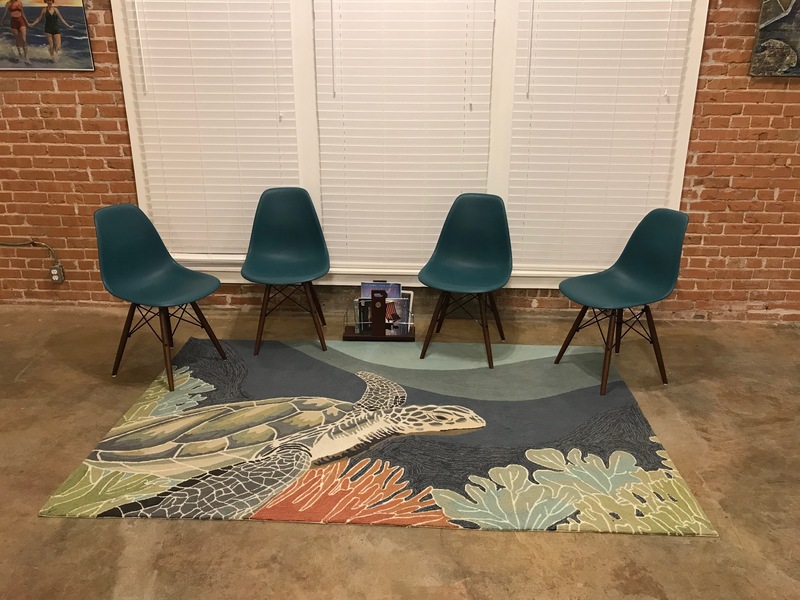 In keeping with our sea turtle theme is a gorgeous rug to warm up the concrete floors in our sitting area. Our street is such a great combo of old and new Galveston. Nearby, we have the the new cruise terminal near the The Strand, as well as the Port of Galveston, the Galveston Railroad Museum, and the old post office and courthouse, also known as the Galveston Federal Building. At Broadway and 25th sits the beautiful Texas Heroes Monument commissioned by Henry Rosenberg. On the other side of Broadway lies the Silk Stocking District, famous for being one of the most intact residential areas in the city from the late 19th and 20th centuries. At the end of 25th you will reach the Seawall and Pleasure Pier. We're extra excited that our new spot is on the parade route for most major holidays and events on the island, such as Mardi Gras! 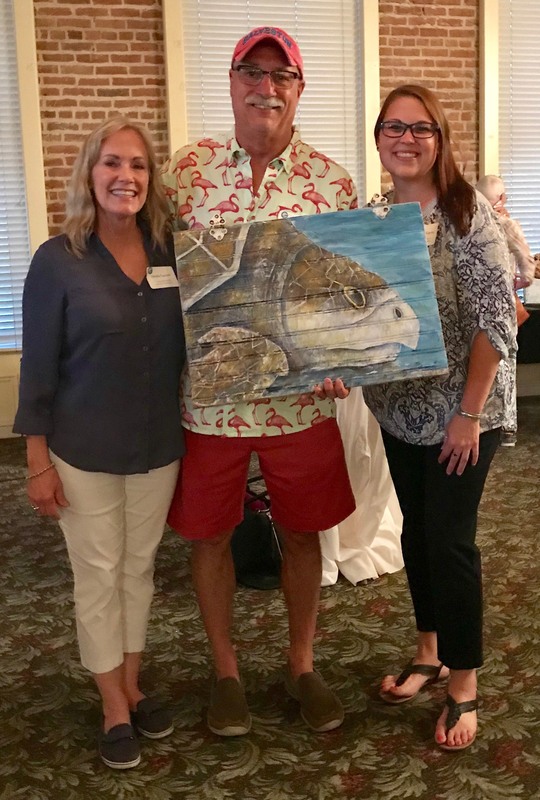 Soar Founder Vonda Tackett and General Manager Katie McCarley enjoyed meeting local artist Ron Venable and scoring our first piece of office artwork at the Galveston Island Nature Tourism Council silent auction. 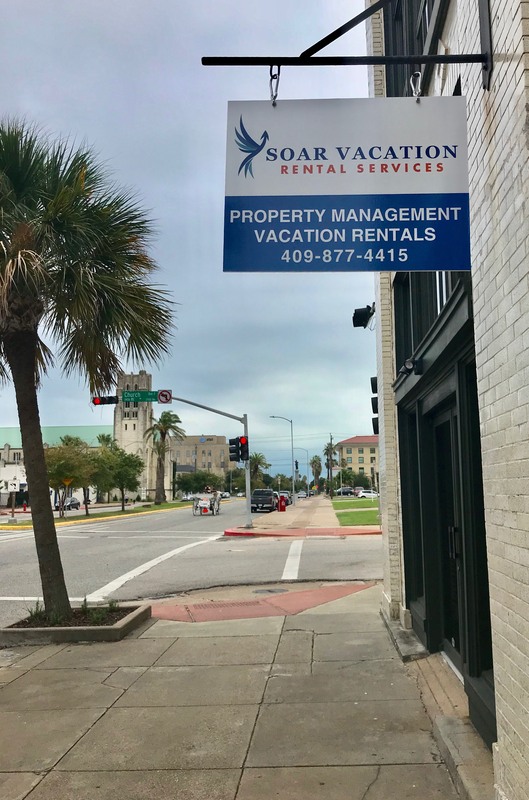 Specializing in short-term vacation rental management on the island of Galveston, Texas, Soar Vacation Rental offers comprehensive and a la carte property management and a superior experience for you and your guests. Come aboard and watch your bookings and return on investment SOAR!